Josh on the steps of the Reber House, where Cooper delivered the package which unlocked the exit of this dream he’s been trapped inside for far too long! Special thanks to Mary Reber, a wonderful person and friend. 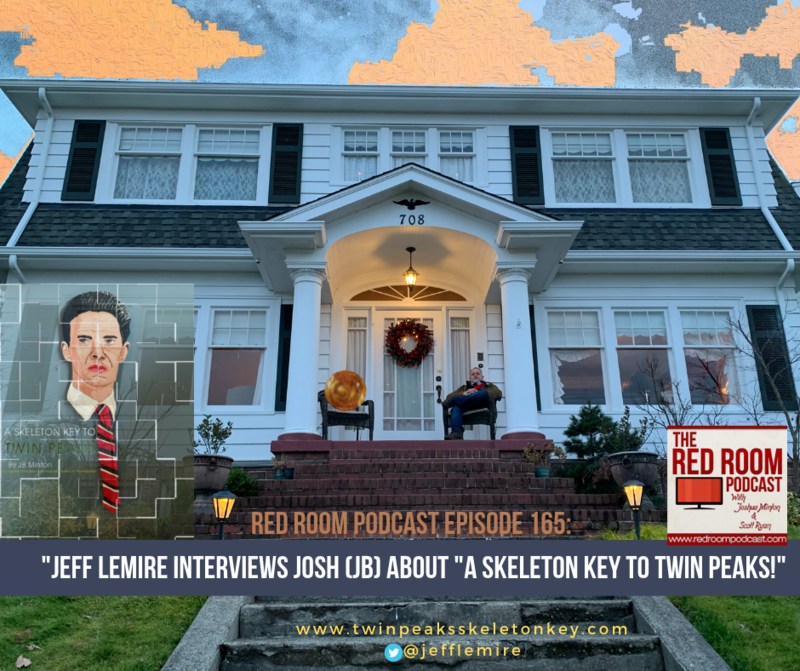 Red Room Podcast Episode 165: Jeff Lemire Interviews Josh ("JB") About "A Skeleton Key To Twin Peaks!" Oh man, this is a huge moment for me and I’m doing my best to stay humble, because ultimately that is where I have found that real happiness lies. To speak with author, artist and screenwriter Jeff Lemire about my book “A Skeleton Key to Twin Peaks,” was a once in a lifetime experience that I will be grateful for forever. My favorite part of this conversation are not the moments where I’m speaking, but where Jeff and I are having a meeting of the intellect and the aesthetics of our appreciation of this shared love of a specific piece of art is just a wonderful Twin Peaks moment for me and I hope it will be for you as well. Follow Jeff on Twitter and buy his books. We talk about where to start at the end of this episode.